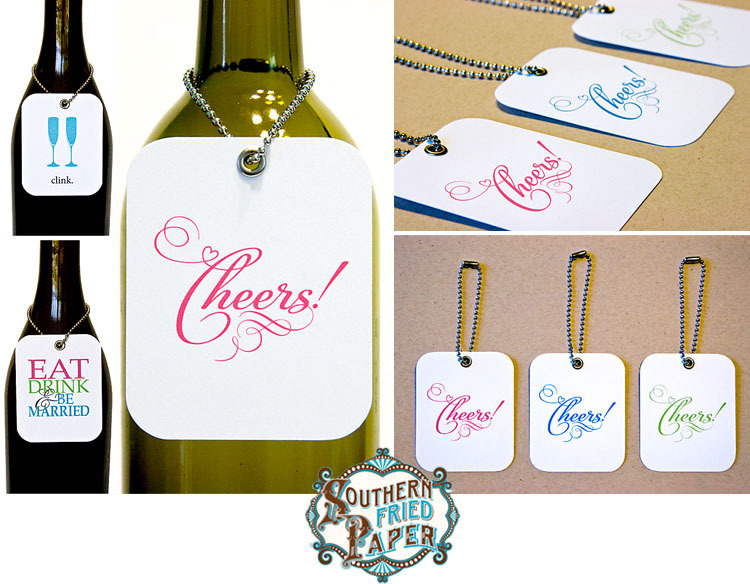 We just adore these custom wine tags from local designer Southern Fried Paper! Dress your fave bottle of wine with one of these oh-so-cute tags and send your guests off with a custom favor they are sure to enjoy! Be sure to check out all of their creative options including a fabulous line of custom wedding invitations online! Cheers!